Your Next Car: Buy Silver or rent Gold? OMG Pink Citroen DS3… PINK! 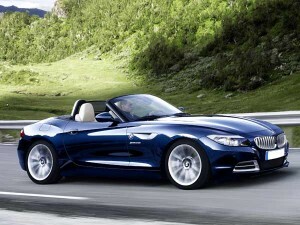 Although we may not have the warmest climate here in the UK the British buyers love convertibles. And I’m one of them, I love girly cabriolets! Maybe the lack of sun means that we take full advantages of the rare days when it’s hot. If you’re in the market for a convertible there is plenty of choice ranging from affordable and run options to luxury offerings. I have decided to compile a list of the various convertibles I would recommend. The first is the Used Audi TT. This car has a good sense of style about it and its extremely fun to drive and has a top quality interior and won’t break the bank to run either. The TT in this class rival the likes of the Second Hand BMW Z4 and it truly is a superb car. The most current model was launched in 2007 after the previous model had been around for 10 years. Keeping the same iconic shape but making a few changed to keep it looking sport and modern. The cons with this car are that it doesn’t have any rear seats and the boot is particularly small. The next of the girly cabriolets to make it is the Mercedes-Benz E-Class Cabriolet. The E-Class isn’t just stylish and comfortable but it’s one of the few in its class which is also comfortable to drive with the roof down as it is closed and offers draught-free open top driving. Being a Mercedes this vehicle is a more expensive option in the convertible range. The E-Class unfortunately only comes with a fabric roof instead of some of its rivals folding hard tops and when the roof is up the interior can also feel slightly claustrophobic. 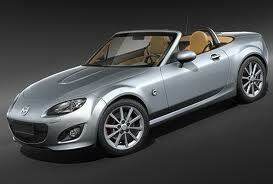 The Second Hand Mazda MX-5 is a definite contender for my favourite convertible and rightly so. It may not be the quickest but it’s a true sports car and is one of the best in its class for driver enjoyment. In all the time it’s been out it’s barely changed in that time and still as popular as ever. The MX-5 has a reasonable price tag and performance, it is also a very reliable car. Like most convertibles the interior is quite cramped and has a small boot. Another convertible which I felt needed to be on this list was the Used Volkswagen Golf. The convertible version has the identical interior and excellent build quality as the hatchback version. The Cabriolet version allows you to enjoy the sunshine (when we get it) without compromising quality or performance. It is a fun and a sensible choice. The bad news is that the Golf Cabriolet version is quite expensive. However it does hold its value better than most rivals and like the other rivals has a small boot.